my parents bought 5 interesting books for me. Chinese words but my mom explains it to me. by scriptures. I want to try it out! Friday (21/08/09), we went shopping to buy something for the church camp in Kuantan which is going to be held on (29/o8/09). While shopping, we passed by a musical instruments shop. My mom wished I can play saxophone. There was a saxophone music class. The salesman said if I want to learn saxophone they wouldn't provide the instrument, so I must buy a saxophone for the class and it costs RM2100++. Wow! So expensive. My mom think I cannot carry and always train myself daily with the heavy saxophone so she thought about it and she also want me to grow bigger first. Why am I so short!?? 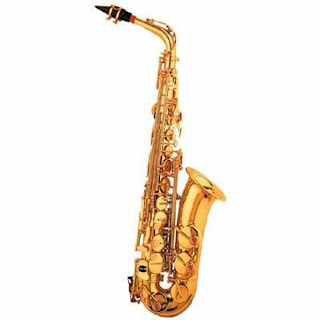 I'm thinking how can I find a second-hand and cheaper saxophone then maybe my mom will let me learn the saxophone class. windy day, so I went to play my kite. Look! There are a lot of kites flying in the sky. a trip to Kuala Selangor to see the amazing fireflies. a seafood dinner but it was not as delicious as we expected. I saw the glowing firelies, my fear escaped. I found this photo on the internet. It was exactly what I saw during the trip. The fireflies were surrounding the trees they made it look like Christmas trees. Now my new school's canteen has so limited food compared to the old school. This morning, my mum prepared a lunch box for me, that was spinach noodle, ham, fish fillet and tomatoes. Some of my classmate admired me, because my mum was so good, she woke up at 5am to cook for me. Thanks mum! 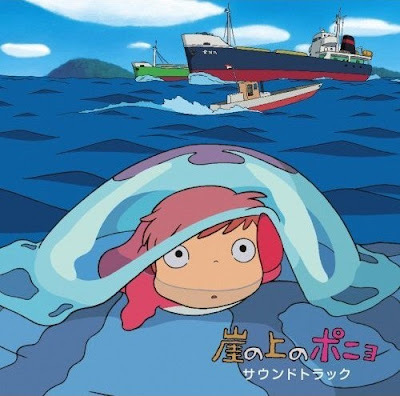 Today my dad bought me an exiting DVD of Miyazakis' collection again, one of the greatest movie is "Ponyo On The Cliff By The Sea". This movie was created and directed by Miyazaki Hayao & his son Miyazaki Goro. It was almost a year my Dad didn't bring me to check my eyes, so today when we were shopping at the Mines Shopping Centre he brought me to an optical to check my eyes. Oh No! both of my eyes shortsighted increased by 100 degrees! The right side were from 275 to 400, and the left side were from 250 to 350. I really felt regretful that I never take care my eyes properly. I actually prefer the old spectacle (plastic frame) which is lighter. Yesterday (08/08/09) during Boys Brigade (at SRSS), they were some Hong Kong Boys Brigade members who visited to our school. The captain introduced themselves as the 23rd Boys Brigade Hong Kong Company. They have about 9 000 members in their company, they wanted to reach the number of 10 000 members in this year. 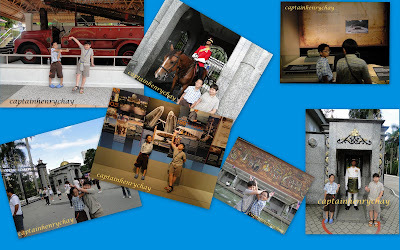 They will stay in Malaysia for few weeks and they will visit another few Boys Brigade company in Malaysia too. 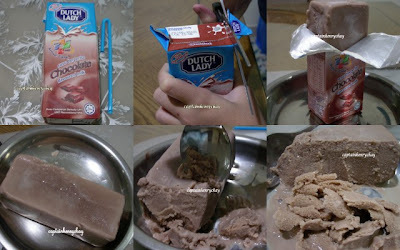 Buy a packet of Chocolate Milk or MiloPut it into the freezer until it becomes frozen.After a few hours, take it out from the freezer and cut the packet. Next Tuesday, is my exam in the new school. I feel so nervous... exam so near. exam and give me wisdom. Oh, well anyway "Stressed" is "Desserts"
spelled backwards. After exam I shall be free!